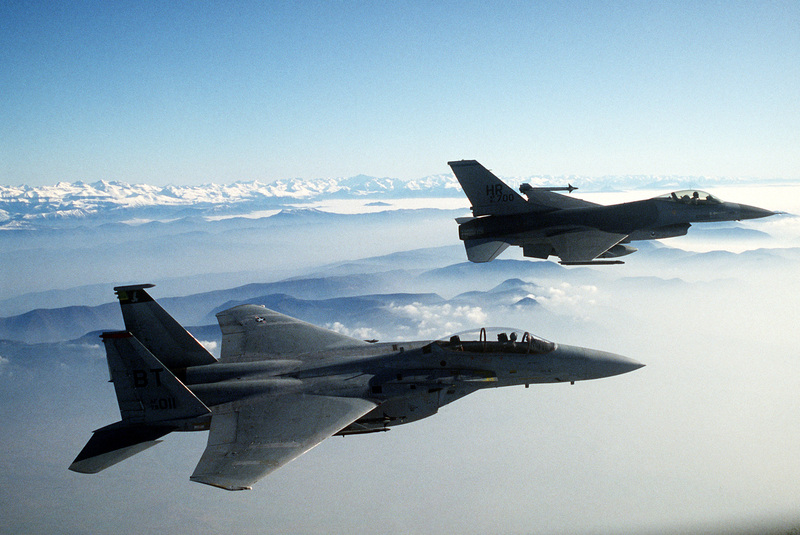 An air-to-air right side view of a 50th Tactical Fighter Wing F-16A Fighting Falcon aircraft in formation with a 36th Tactical Fighter Wing F-15D Eagle aircraft during a dissimilar aircraft combat tactics exercise. The 1980s was the last decade to witness air-to-air combat on a large scale, and the fighters of this age were impressively capable machines. Advances in radar, missile and man-machine interface technology produced extremely potent machines that were far easier to fly and fight in than their 1960s forebears. In the past, enemy aircraft had been safe hiding in the clutter of ground returns, but by the mid-80s many fighters had a look-down/shoot down capability making the sky a far more dangerous place. In producing a top ten, I don’t hesitate to add all the normal disclaimers: each aircraft has strengths and weaknesses at different heights, speeds and in different situations; pilot quality and tactics are more important than hardware. The ordering one to ten has involved consideration, but is ultimately arbitrary. 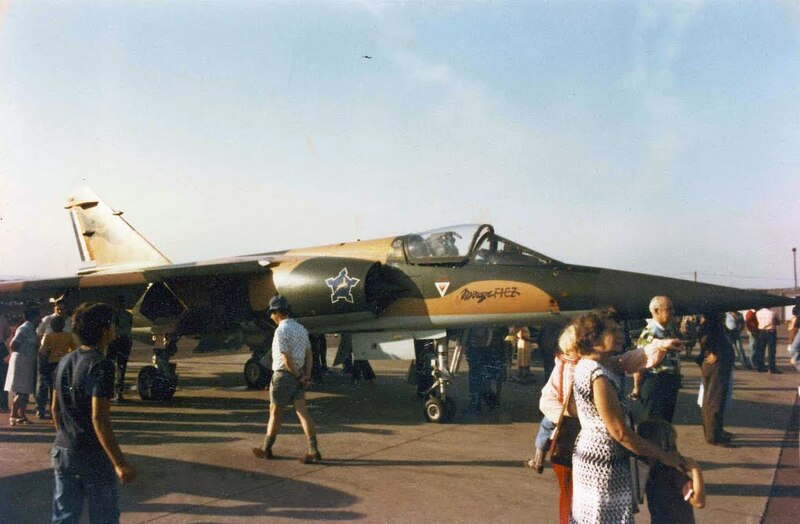 Aircraft considered that failed to make the grade included the Kfir C2, which deserves an honourable mention, but was pipped to the number ten slot by the Sea Harrier. The RAF’s Phantom FGR.2s were also capable machines, despite the airframe being passed its prime. The RAF’s Tornado F.Mk 2/3 were flying in late 1985 but were grossly immature- lacking as they were a functional radar or even the provision for chaff and flares. Though at a push the Tornado ADV and F-14 interceptors can be described as ‘fighters’, the MiG-31 seems a trifle too specialised to be featured but was certainly an impressive machine that is worth a mention. Upgraded MiG-21s would have given half the aircraft on this list a run for their money in the ‘merge’, but were too poorly equipped to make selection. The Sea Harrier is the oddest aircraft on this list: its top speed was half that of the other aircraft, it could only carry half the amount of missiles and its radar had half the detection range. Yet, it managed to perform well in the air-to-air mission in the Falklands War of 1982. Its virtues were its high thrust-to-weight ratio and that it was small and smokeless, but the main reasons for its success were its highly-trained pilots and the excellent AIM-9L missile. It could also operate in weather conditions that would have kept any other carrier fighters on or under the deck. The Harrier family pioneered the use of vectored thrust for abrupt decelerations and unexpected manoeuvres in the dogfight, though these have not been used in actual air combat. 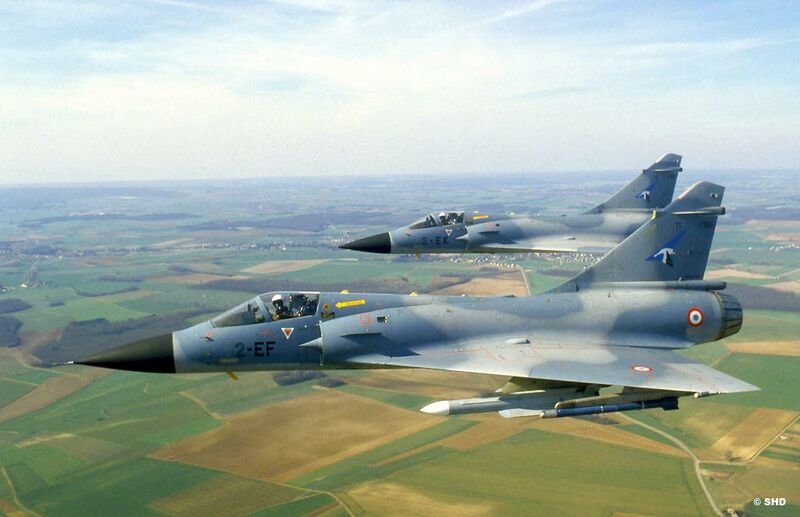 The Dassault Mirage F1 proved itself a formidable fighter in the Iran-Iraq War: one jet alone got a dozen kills. 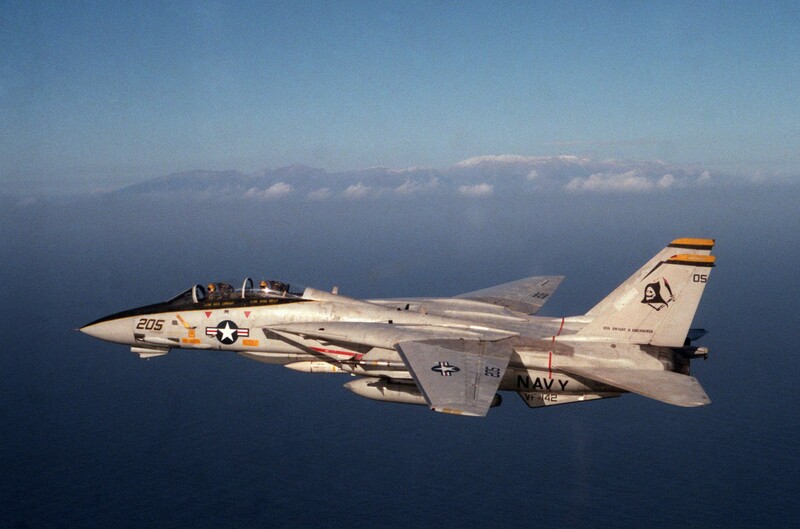 In this long bloody war, the F1 also downed several F-14s, making it the first type to bring down the mighty Tomcat. In service with the South African Air Force it was fitted with a helmet-cueing system and the respected Kukri air-to-air missile. Though not the highest performance airframe, the JA37 was one of the world’s best-equipped fighters in 1985. 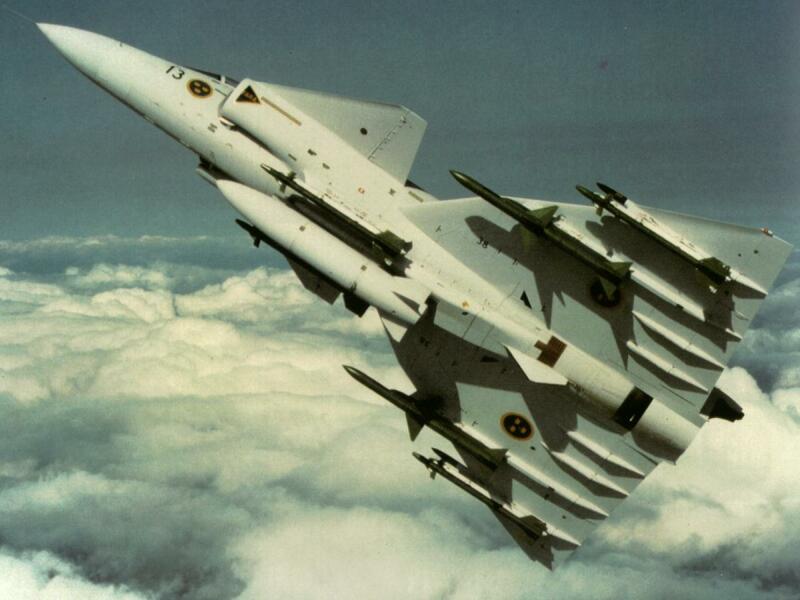 At this time the Viggen had just received a secure datalink allowing the sharing of encrypted information. This innovation, years ahead of other nations gave the fighter an enormous edge in situational awareness. Its electronic warfare equipment was also world-class. The Skyflash, that armed the JA37, was the best medium range missile in the world. The Viggen’s agility was inferior to the new generation of Soviet, US and French fighters. Click here for the Top Ten Swedish aircraft. Described by many that have flown it as a perfect machine, the ultimate Mirage was an absolute thoroughbred. Fast, agile and easy to fly, it was a well-balanced design. The fly-by-wire system cured most of the worst vices associated with the delta wing. In 1985 the Mirage was fitted with the unimpressive Thomson-CSF RDM (Radar Doppler Multifunction) which had a limited look down/shoot capability and the Matra Super 530F semi-active radar guided missile. Though a capable fighter- the design was not close to the formidable machine it would become later in its life. The F-16 did not have a beyond-visual-range weapon until the Sparrow-capable Block 25 of mid-1984; but in 1985, it was still an immature model riddled with software problems. 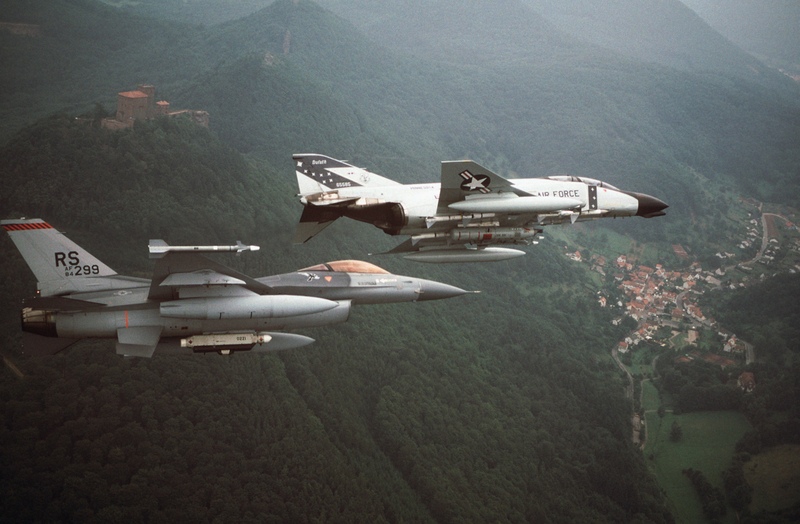 Despite this, the F-16C was an extremely agile, long-ranged aircraft and a worthy opponent for any fighter in the world in the close-range dogfight. 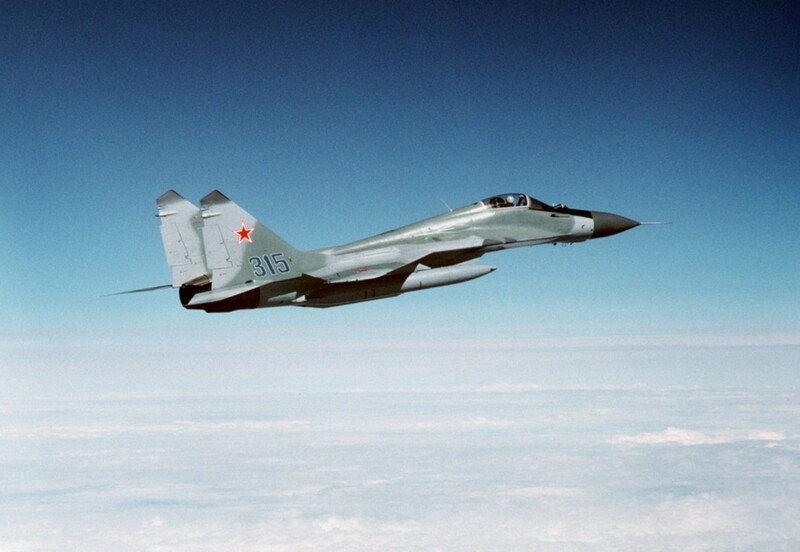 Like the F-15, the F-16s first saw combat with the Israeli air force; a Syrian Mi-8 and MiG-21 were shot down in 1981. In the 1982 Lebanon War, Israel claimed 44 kills for the F-16 for no losses (a large number of the aircraft destroyed were Syrian MiG-21 and ‘23s). Get to see more articles like this by donating (buttons above and below on this page). Many thanks. The MiG-29 of 1985 would have been able to destroy most F-16s at arm’s length, armed as it was with medium range R-27 missiles (most F-16s had nothing more potent than short-ranged Sidewinders). Opponents that got closer to the MiG-29 would face an almost unbeatable fighter armed with the world’s best short range air-to-air missile, with an unprecedented off-boreshot capability cued by a helmet ‘look, shoot’ system (something the West would not have until the 1990s). Its manoeuvrability was breath-taking due to extremely powerful and tolerant engines, and advanced aerodynamics. Its weaknesses were short-range, poor man-machine interface and smoky engines. Remarkably, early MiG-29s did not include a fly-by-wire system. In 1985 the F/A-18 had the most user-friendly cockpit in the world, the best multi-mode radar and the best low-speed manoeuvrability of any western fighter. Unlike the F-16, it had a mature Sparrow capability. The F/A-18 set new standards for a multirole fighter that Europe and Russia could only follow. Its weaknesses lay in its disappointing range and its poor performance at high speed and high altitude. Click here to see how things have changed in 2015 (Top Fighters of 2015). The F-14 flew with both the US Navy and the Islamic Republic of Iran Air Force. 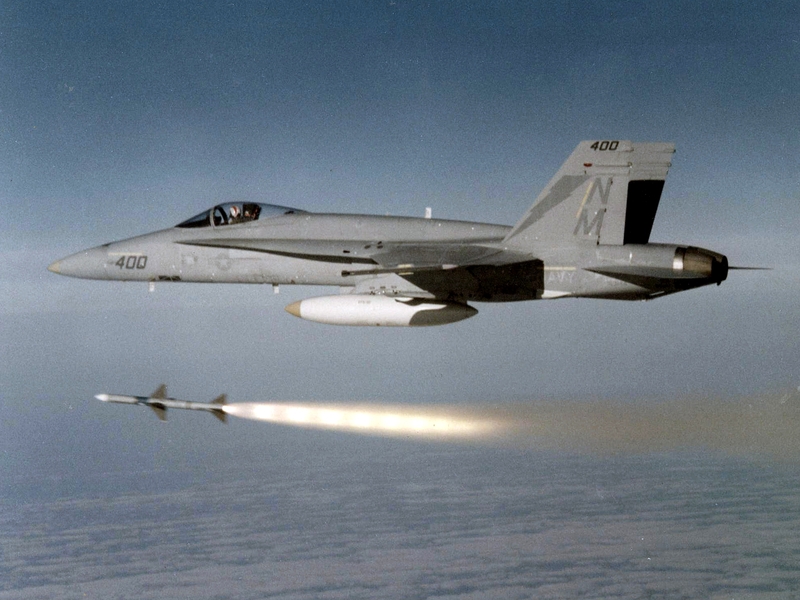 The F-14’s most notable weapon was the ultra-long range AIM-54 Phoenix missile, capable of destroying hostile aircraft 100 miles away (at least in theory). The main problem with the F-14A was its unreliable Pratt & Whitney TF30 engines, which were prone to stalling, and were insufficiently powerful to get the most out the airframe. 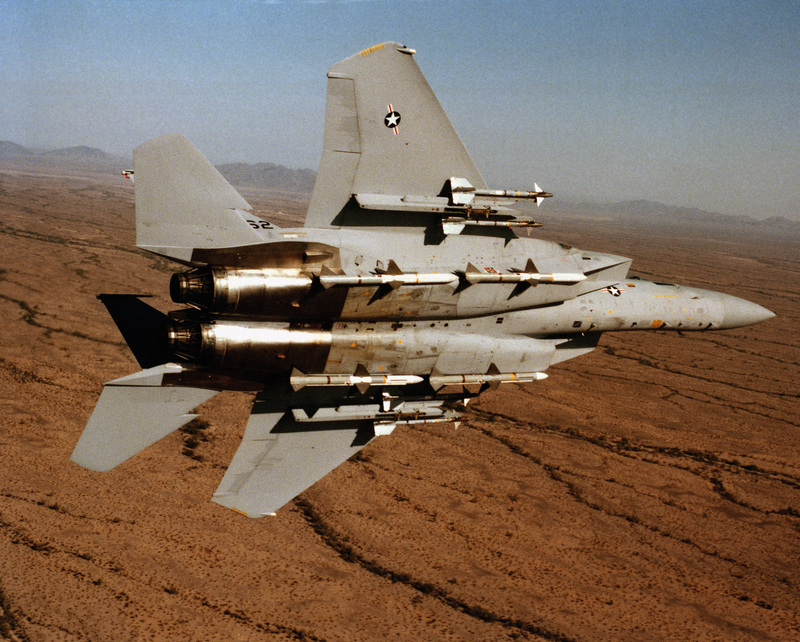 The F-14, designed as a fleet air defence interceptor was also not as agile as the F-15 or Su-27. The F-14 proved devastatingly effective in the Iran/Iraq War. By 1985, the most successful F-14 pilot, Jalil Zandi of the IRIAF, had downed seven Iraqi aircraft including Mirage F1s, Su-22s, MiG-21s and MiG-23s. The F-14 was the elite fighter of the IRIAF and it is claimed that it destroyed 160 enemy aircraft including 58 MiG-23s, 23 MiG-21s, nine MiG-25s, 33 Dassault Mirage F1s, 23 Su-17s and five Tu-22s. Check out the ten worst carrier aircraft here. After a problematic development, the Su-27 began entering service with the VVS in 1985. In kinematic terms, the Su-27 was the best fighter of 1985, with superior manoeuvrability to the F-15, especially at lower speeds. 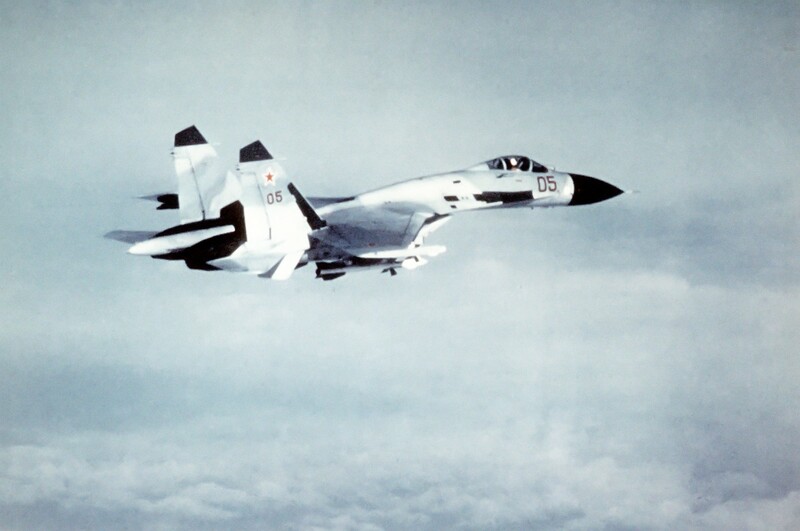 Its manoeuvrability was unbeatable, and combined as it was with the same helmet/R-73 missile combination as the MiG-29, it would have proved almost invincible in the close-range dogfight.It had an impressive range, though at maximum weights it was not a particularly agile aircraft. It also had a large weapon load, normally consisting of six R-27 medium-ranged missiles and two R-73s, backed up by a 30-mm cannon. Another system it shared with the MiG-29 was a combined infra-red search and track/laser range finder sensor. At this time IRSTs were out of vogue with western air forces and offered Soviet fighters an advantage in ‘silent’ passive detection. In 1985 the Su-27 was just bedding into frontline service and just misses the top spot through a lack of maturity. The earlier F-15A, though excellent in many ways, suffered from an immature radar and disappointing endurance. The F-15C, which entered service in 1979 rectified these problems and demonstrated McDonnell Douglas’ mastery of fighter design. The Eagle’s air superiority was achieved through a mixture of unprecedented manoeuvrability and acceleration, and advanced avionics, making it the benchmark of 1980s fighters. The F-15 was an uncompromised air superiority fighter, designed to excel in both within- and beyond visual range engagements. For the first time, USAF had a fighter with a thrust-to-weight ratio that exceeded unity at combat weight. The brute force of its large APG-63 radar gave it excellent detection range and a hearty resilience to electronic countermeasures. The aircraft was fast, and armed with up to eight air-to-air missiles and a M61 rotary cannon with 940 rounds. The first production Multistage Improvement Program (MSIP) F-15C was produced in 1985, which carried an upgraded central computer, the Programmable Armament Control Set, allowing for advanced versions of the AIM-7, AIM-9, as well as provision for the forthcoming AIM-120A missiles. In 1985 the Su-27 was still finding its legs, but the F-15 was combat proven; Israeli F-15s had scored multiple kills with no reported losses. It was said that Sukhoi was glad McDD won the fighter competition that led to the F15, as the loser was North American with a wing design ( NA 335)much like their SU 27, which they knew to be a superior approach. North American had a similar wing ( NA 323) for its F14 project. Mig 29 ? But the Mig 25 had far more impact – it changed everything- and numbers built than that little harrier thing- thats specialised! Hi Duker, The criteria for this is combat effectiveness in the fighter role in 1985, thus the far superior MiG-31 would be ahead of the MiG-25. In the introduction I mention why the MiG-31 has not been included. The MiG-29’s beautiful lines have been destroyed by the ugly camel hump of the Russian-upgraded ( 4 gen) UPG and K versions flown by the Indian AF and Navy respectively. It could turn at a faster rate than an F16 in spite of not having artificial stability! Thats not what F-16 pilots who have flown and trained against Mig-29s have said. Their instantaneous turns are similar with the Mig-29 having a slight but negligible advantage when its not carrying External fuel tanks (which it never does). But the F-16 can sustain the high Gs longer due to better T/W ratio and less energy bleed rate. Well, in the 1985 there is only on operational Su-27 IAP regiment (the 60th) based at Dzyomgi Air Base near Komsomolsk-on-Amur, where the production plant was located (to facilitate maintenance). I think that, while nominally operative, the mighty Flaker was well away to be fully operative in the 1985.
the Su-27 has a considerable upper hand at slow speeds just as you noted. But Eagle drivers are experts in keeping the fight at high speed where they have a massive advantage against most planes and a slight advantage against Flankers. Maslow’s Hammer: How will the F-35 affect foreign policy?